Texas prisons have amended their policy to disallow all chaplains from the execution chamber following two controversial high-profile cases, according to the Texas Tribune. Last week, the U.S. Supreme Court halted the execution of Patrick Murphy, who had been sentenced to death for his part in the 2000 murder of an Irving, Texas police officer, because he had not been given access to a Buddhist chaplain. Only prison employees are allowed in the chamber and the state only employs Christian and Muslim clerics as prison chaplains. The high court ruled that this constituted religious discrimination and gave the state the option of allowing chaplains of all religions or banning them from the chamber entirely. 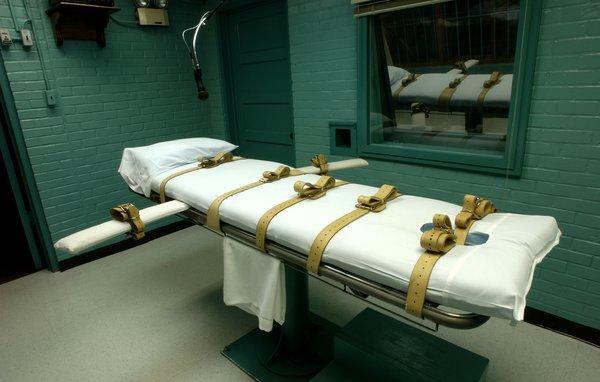 Under new procedures issued Tuesday, the Texas Department of Criminal Justice (TDCJ) says clerics may "observe the execution only from the witness rooms,” effective immediately, according to the Tribune. "TDCJ Chaplain(s) will continue to be available to an offender until they are transferred to the execution chamber. The chaplain will also be present in the viewing room if requested," TDCJ spokesperson Jeremy Desel told the Tribune. The Murphy case followed another Supreme Court case in which a Muslim inmate was put to death in Alabama despite arguing that he had been denied an imam at his execution. In the case of Dominique Ray, the court ruled against the inmate, finding that he did not have the right to an imam present in the chamber. Ray was executed Feb. 7.